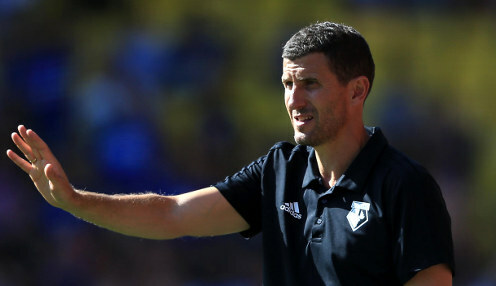 Watford head coach Javi Gracia has challenged his team to maintain the level of performance which has seen them win four out of four in the Premier League this season. Having beaten Brighton, Burnley and Crystal Palace in their opening three league games, the Hornets continued their fine run by coming from a goal down to defeat Tottenham 2-1 at Vicarage Road on Sunday. We are in a good moment and trying to enjoy it, knowing we have won four games - but it is only four games. Spurs had also gone into the game with nine points from nine, with the result leaving only Watford, Liverpool and Chelsea with maximum points on the board. However, Gracia was not getting too carried away as his players take a rest from domestic action during the international break. The Spaniard told Sky Sports: "It had been an amazing start. We are in a good moment and trying to enjoy it, knowing we have won four games - but it is only four games. "I am very happy, like all of the Watford fans. We are enjoying the moment, to win four games in a row is not easy and we try to keep our level in the next games. "For me the atmosphere we have in this moment, in the team, the players playing and not playing, they are enjoying a lot, feeling the supporters enjoying the games. That's the most important (thing)." Watford are now priced at 1/16 to finish in the top half of the Premier League table and are 1212/1 to win the League Cup, while they are available at 5/1 to lift the FA Cup. Meanwhile, skipper Troy Deeney, who headed home the equaliser against Spurs and who was a major influence in the Hornets turning the game around, also warned against getting carried away by a 100 per cent start to the new season. He added: "Four wins out of four is a huge achievement for a club of our size. "We're not naive to think we're going to go on and win the league, we've got a lot to work on, but we have an added boost and confidence from this result."